It was certainly unusual for her. 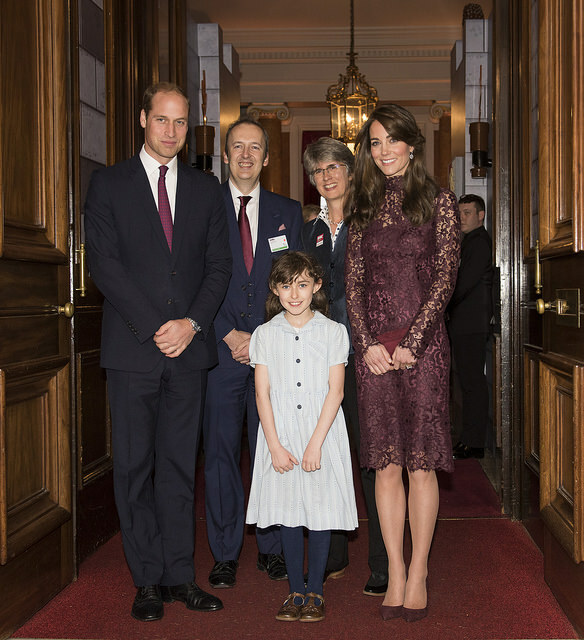 Kate of Cambridge surprised plenty of people by choosing a high necked burgundy lace dress as she accompanied the President of China and his wife on an engagement celebrating creative industry as part of the State Visit this week. But Kate's not the first royal lady this year to give us a bit of burgundy lace. And her choice looks rather familiar alongside some of the others chosen in 2015. First there was Queen Letizia who chose a cocktail dress with flared skirt for one of her engagements in France during the State Visit she paid this summer with her husband. Letizia's look was a little more dramatic, perhaps because of the evening setting, and added a thirties effect with hair and make up from the decade that fashion adored this year. All eyes might be on the tiaras but if you're going to have a white tie and diamonds dinner then someone needs to do some cooking. And one of the best parts of day one of the State Visit to China was watching preparations for the big event unfold. Thanks to social media, we got a real insight into the work that goes on behind the scenes for this showpiece of the royal season. The build up began in the afternoon when images of the cooks getting to work in the kitchens were shared on the British Monarchy Instagram page. While the guests viewed items from the Royal Collection, the cooks got to grips with the menu for the Royal Banquet and we got a glimpse of a terrine that promised at least two of the five a day veggie recommendation. It's one of the most talked about State Visits in years and it got even more headlines last night as it became the one where Kate made her great State debut. 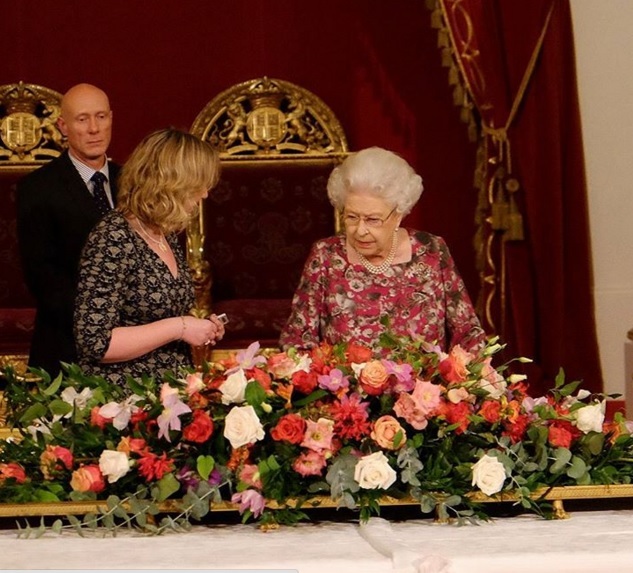 The Duchess of Cambridge took her seat at the top table for the first time as the Queen held a State Banquet for the President of China, Xi Jinping, and his wife at Buckingham Palace on the first full day of their visit to Britain. And while all the talk beforehand had been about which tiara Kate would wear, once she had arrived there was plenty more to talk about. Owing to the absence of the Prince of Wales and the Duchess of Cornwall, the Camebridges found themselves in pride of place with Kate on one side of President Xi and her grandmother-in-law on the other. The thing about royal babies in Sweden is that you have to stay up to date. 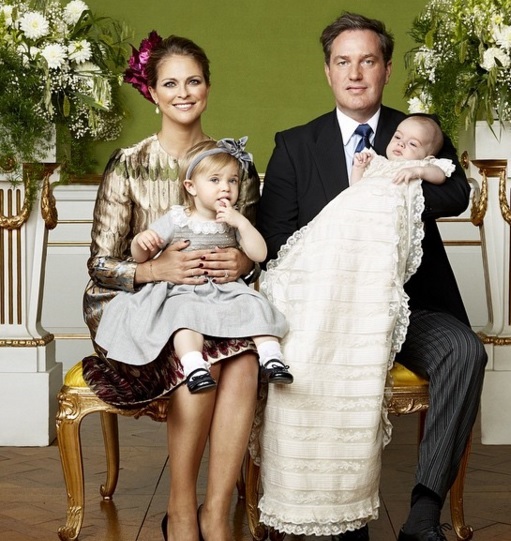 It's all very well seeing the official christening photos of Prince Nicolas and thinking, can't wait to write about those on the blog later. You have to do it otherwise you find that another happy royal couple announce happy royal news and everything goes crazy. Just as everyone was going aah over some rather bright baptism pictures for Nicolas, his godfather announced he was getting a new cousin. But now that surprise is abating, a bit, it's time to look at little Nicolas first big royal portraits. And they're rather nice. It's becoming a regular occurrence. For the second time in two months the Swedish Royal Household has announced that it is getting ready to welcome a new member. 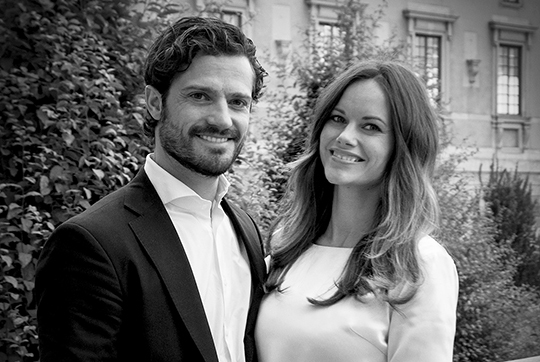 Prince Carl Philip and Princess Sofia are expecting their first baby in April next year. The pregnancy news comes, of course, just weeks after Crown Princess Victoria confirmed she is expecting her second child - that happy event is due in March 2016. And now we know that just after we've got over the excitement of that arrival, we will be doing it all over again for grandchild number five for Carl XVI Gustaf and Silvia. The new baby will be fifth in line to the throne from birth unless they arrive just before Auntie Victoria's child in which case they will start as fourth and move down one place once their cousin arrives. They laughed, they smiled, they gestured, they looked excited. 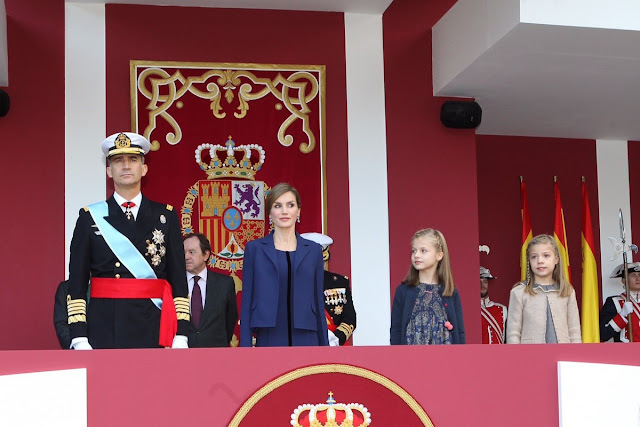 We don't get to see Leonor and Sofia of Spain that often but they made sure their latest appearance stuck in the memory. The future queen of Spain and her sister were charming and cheeky as they took part in celebrations for their country's national day. And suddenly their beleagured royal family has two new stars with sparkling futures. 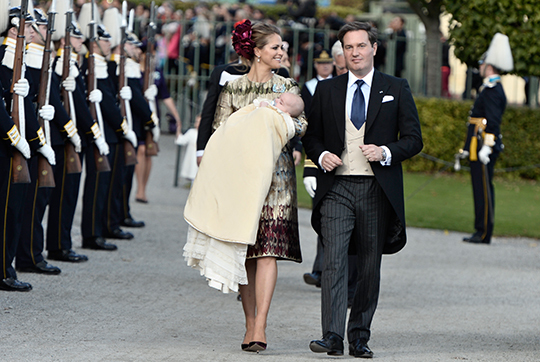 There's nothing like a royal christening for a bit of understated glamour. A royal wedding means style pressure - while all eyes might be on the bride, they'll be taking a sneaky peak at the guests as well to see who nailed glitz without scene stealing. But a christening is different. Baby's mum always looks so happy that being anything less than lovely is an impossibility, the grandparents always look so proud that the same rule applies and everyone else looks like they've put on a hat for an afternoon out which is something that needs to happen more.